The words from AKA head coach Javier Mendez to UFC lightweight Luis Pena would have been terrifying to most people. Pena knew it was coming, though, even before Khabib Nurmagomedov won the 155-pound world title. So after a thought of, “Oh my God, I’m about to spar the champ,” Pena put the gloves on and the mouthpiece in. That “past fight,” a UFC 229 finish of Conor McGregor, lifted Nurmagomedov from star to superstar in the MMA world, the latest member of the AKA fight team to achieve such lofty status. It’s something Pena has his eye on, even though he’s still young in his career. It’s been a heck of a beginning for the man with the greatest nickname in the sports world. 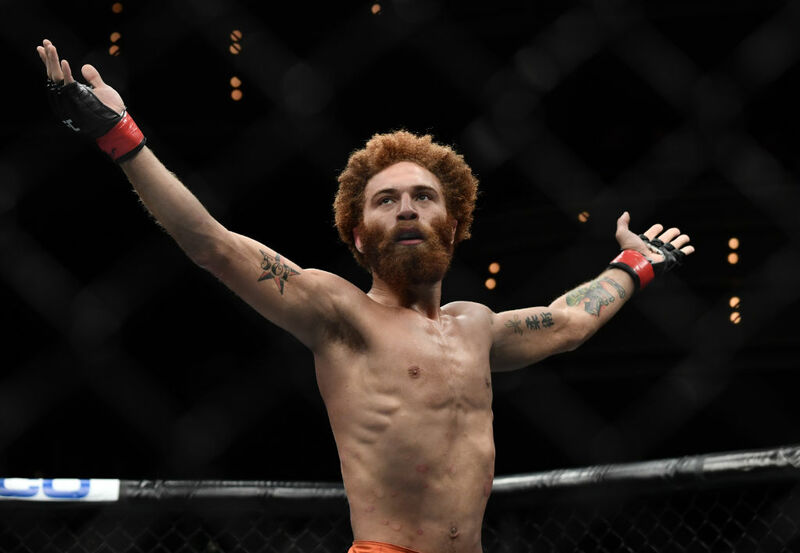 Just 5-0 as a pro, the 25-year-old has made an impression in those five fights, and while the first four built a solid reputation on the regional scene and led him to The Ultimate Fighter 27, it was in his first Octagon bout in July that showed Pena to be more than just a nickname, as he tore through Richie Smullen en route to a submission win that took less than four minutes. Pena then spoke of his first UFC memory, Anderson Silva’s debut win over Chris Leben in 2006. Twelve years later, Pena made his debut in the same city “The Spider” did, and that’s a coincidence that means something to the up and comer. That Performance of the Night bonus was a biggie for Pena, who can now see a future that doesn’t just make him successful in this business, but a fighter we’re talking about for a long time. Next up for Pena is the man who won TUF 27, Michael Trizano. It’s a fight Pena wanted, and he wasn’t shy about asking for it. And he got it. How’s that for the power of positive thinking? It does, especially since Pena was forced out of the TUF 27 tournament due to a broken foot, scrapping a semifinal showdown with Trizano. So, to many, this fight will determine the “real” TUF 27 winner. Why not indeed? It’s another opportunity for Pena to make a statement, and should he emerge victorious, he closes the TUF chapter and gets on to the road to chasing gold…and greatness. “I think a lot of fans have gotten behind me, have gotten behind the story, and this is the logical conclusion to that chapter in my career,” he said.